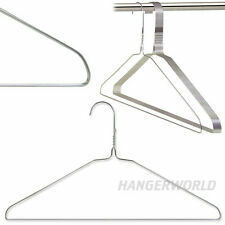 Manufactured For Hangerworld.Trust The Hanger Experts! At Hangerworld we care about the clothes you love. Such information is subsequently disposed of securely. Any information which you provide will only be used by Hangerworld Ltd. and will not be sold or made available to third parties. Manufactured for Hangerworld.Trust the Hanger Experts! At Hangerworld we care about the clothes you love. This website and the information and material which it contains are subject to change without notice. Manufactured for Hangerworld. Trust the Hanger Experts. At Hangerworld we care about the clothes you love. Such information is subsequently disposed of securely. The information will not be used for any direct marketing or unsolicited communication unless you give us permission. Manufactured For Hangerworld. Trust The Experts! At Hangerworld we care about the clothes you love. Such information is subsequently disposed of securely. This website and the information and material which it contains are subject to change without notice. 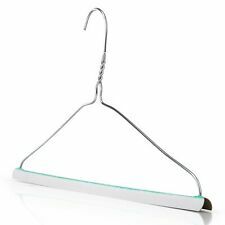 Extra Strong Clothes Hanger. Tough, Bright and Galvanised Finish For Longer Life. 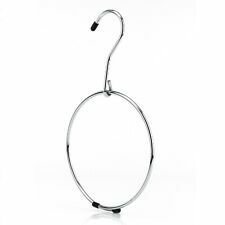 Can be used with plastic, wire or wooden hangers. 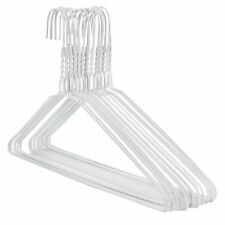 Use both hooks to hang clothes horizontally, remove hook to drop wonder hanger to vertical position. Increase your closet space instantly. So easy to use!